There are many reasons to be thankful for precious metals every single day of the year. Here are five of them. 1. They offer peace of mind. Precious metals protect your wealth from inflation, geopolitical conflict, market crashes, economic uncertainty, and much more. And since they are considered a long-term investment meant to be held for five to ten years or more, there is no need to check their performance every day and worry about when you are going to buy or sell. Therefore, precious metals offer peace of mind about your financial future that allows you to sleep at night. Precious metals can be held, touched, and felt. They glisten in the light and feel heavy for their size. Gold, in particular, never rusts. Holding cash in your hands does not feel nearly the same. 3. They hold their value. In 1920, a U.S. $20 bill and an ounce of gold were worth the same, and each could buy a well-tailored suit. Today, that same ounce of gold can still buy a nice suit, while the $20 bill barely covers the cost of a tie. The value of gold and other precious metals have stood the test of time, even through the worst financial crises. When you purchase precious metals, you are the sole owner of them and there is no counter-party risk. You do not need to fret about losing your assets due to a company shutting down or going bankrupt. And if your metals are held in a depository, you may take physical possession of them at any time. You can even pass them down to your loved ones for them to keep. 5. They’re easy to liquidate. If you would like to purchase physical gold, silver, platinum, or palladium bullion, contact American Bullion today at 1-800-326-9598. 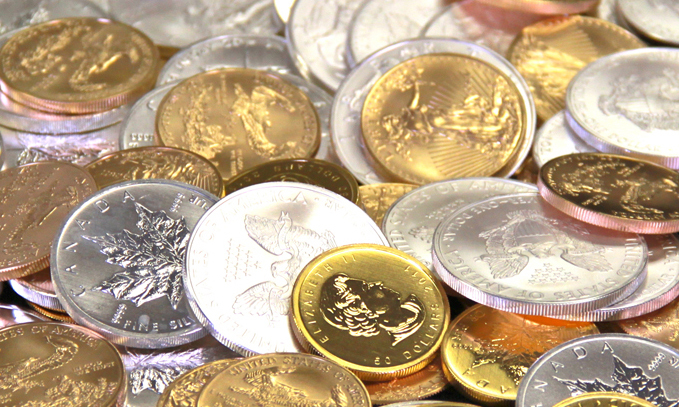 We can even help you add precious metals to your retirement portfolio through a Gold IRA. This holiday season, invest in something real!